For low humidity, low & high temperatures - for accuracy and reliability. 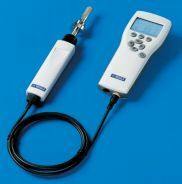 Includes a complete product line for measuring dew point in compressed air. Whether your dew point conditions are in -80°C or +60°C, there is an accurate product available for you. SF6 (DM70 or DPT145 or DMT152 option) is used as a gaseous dielectric medium in the electrical industry; in medicine; an inert gas for the casting of magnesium; as an inert filling for insulated glazing windows. See DM70 link above. below 10% (RH). Ideal for dry air monitoring and plastic dryers. 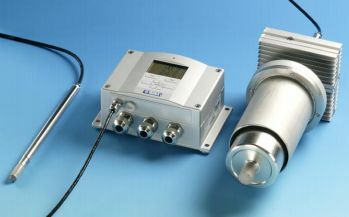 DMT340 Industrial Dewpoint transmitter: Includes 2m cable as standard. Operating voltage 10 .. 35VDC/24VAC, Two analog outputs selectable from 0 .. 20mA, 4 .. 20mA, 0 .. 1V, 0 .. 5V, 0 .. 10V. Includes Td, PPM and x variables as standard. Excludes Graphical Display. Non calibrated range extends to -100 to +20˚C Td/f, ppm. Non calibrated range extends to -100 to +20˚C Td/f, ppm + ppmw for SF6. SF6 is used as a gaseous dielectric medium in the electrical industry, an inert gas for the casting of magnesium, and as an inert filling for insulated glazing windows. 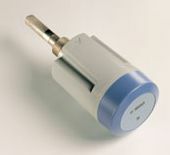 The Vaisala Multiparameter Transmitter DPT145 for SF6 Gas is a unique innovation that enables online measurement of dew point, pressure, and temperature. It also calculates four other values, including SF6 density. The DPT145 is especially well suited for integration into OEM systems. The DPT146 measures both dew point and process pressure simultaneously, and is the ideal choice for anyone using or monitoring compressed air. and is insensitive to the flow rate. installation options and alarm LED. Due to its small size and light weight, the DMT143 is quickly and easily installed in tight spaces or in small-size pipelines. The alarm LED indicates too high dew point in the process. The trigger point is preset at the factory. It can be later adjusted with the Vaisala DRYCAP ® Hand-Held Dewpoint Meter DM70 or a PC. Can be installed directly into pressurized systems at 50 bar (725 psia) maximum pressure. Consists of MI70AUS Indicator, plus one probe from the list below. Displays Dewpoint / Frostpoint temperature, Relative Humidity, ppmv or Process Temperature. The Vaisala DRYCAP® Hand-Held Dewpoint Meter DM70 measures dewpoint temperature accurately over a wide measurement range. The probe may be inserted directly into pressurized processes, and it responds rapidly from ambient to process conditions. Three probe models, all with auto-calibration, are available. The A and B models are both general purpose probes. the B model for -60 to +20°C Td . The C model is specifically developed for SF6 gas with a dewpoint range down to -50°C Td . The B and C probe models have an additional Sensor Purge feature. The Sensor Purge heats and dries the sensor, making the response from ambient to dry conditions exceptionally fast. This facilitates rapid spot checking measurements in low dewpoints. MI70AUS Indicator with backlit LCD display. Displays up to 3 parameters at a time either numerically or graphically. 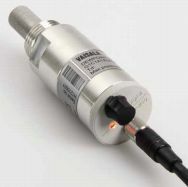 Includes data logging and can be used as a field calibrator for Vaisala transmitters. DM70 Hand Held Dewpoint Meter. The DSS70A is designed to provide dewpoint sampling flexibility for the DM70 hand-held dew point meter. For processes at atmospheric pressure, a battery powered pump is used to extract a gas sample. pressure for venting or re-direction, bypassing the pump. In all cases, the sample gas passes through a filter to remove particulate contamination before measurement. Flow through the system is controlled and monitored with a needle valve and flow meter. 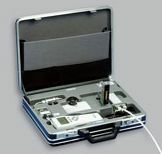 The DSS70A is easily connected to an appropriate sample point with tubing (typically 1/4" or 6 mm). The measured dewpoint must be below ambient temperature to avoid condensation in the system. 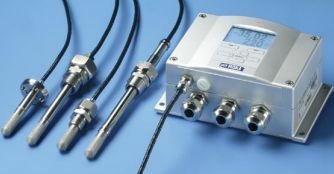 Gas temperatures higher than +40 °C should be cooled with a short PTFE (included in the DSS70A system) or stainless steel tube prior to entering the DSS70A. DSS70A is an accessory for DM70 Dewpoint Handheld Meter. Vaisala offers a wide range of OEM modules for relative humidity (RH), temperature (T) and dewpoint (Td) measurement applications. The headings below link to data on the Vaisala site, and open in new tabs. These are summarized on this page, above. A wide range of OEM modules for relative humidity, temperature and dew point applications. Designed for industrial low dew point measurements below 10% (RH). Ideal for dry air monitoring and plastic dryers. Optional data logging and (W)LAN interface. Constructed for humidity measurement in industrial drying applications with particularly high temperatures. As the probes are designed to be positioned directly in hot processes, there is no need for sampling systems and trace heating. Optional data logging and (W)LAN interface. Designed for OEM system integrations. Ideal for dryers and dry air systems. The recently updated DTM152 is designed for measuring low dew point in OEM applications, even down to -80 °C. Provides accurate readings in a wide measurement range. Designed for on-site checking of fixed low dew point transmitters. Miniature dew point measurement instrument for industrial OEM applications like air dryers or plastic dryers. These are summarized on this page.